Generous members of the Atlanta community make possible our programs for children and adults with and without disabilities through financial and volunteer support. Do you have a corporate, church, neighborhood, or other group looking to make a lasting impact? Let us know! Volunteers play an essential role in making our inclusive community thrive. Each year nearly 250 volunteers help the Frazer Center in various capacities. Our most pressing needs for volunteers can be found around facilities and grounds, at special events, and in skilled volunteers who are willing to use their talents to further our mission. 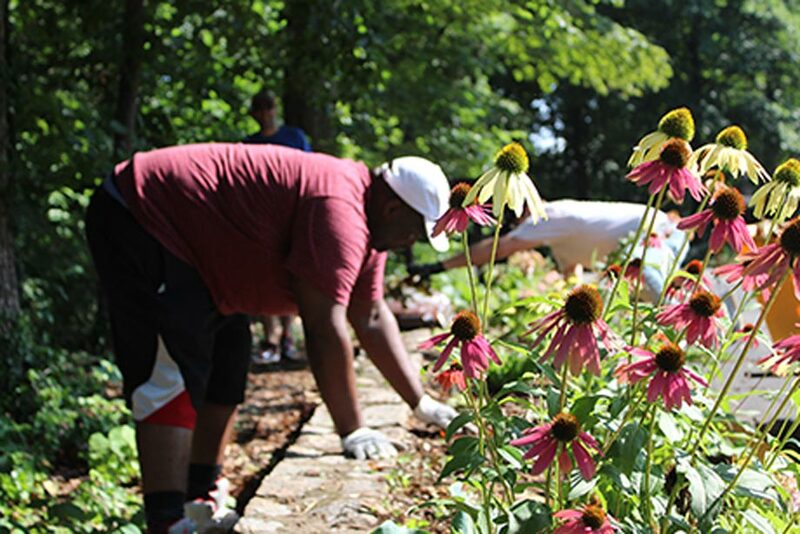 We’re happy to work with groups (10-30 people) to design a fulfilling volunteer day. Frazer is located on 39 acres of forest, so large groups typically engage in projects around our grounds and facilities like painting, landscaping, trail maintenance, and forest upkeep, among other projects. We can also work with large groups to organize program-specific activities like read-a-thons, themed days, and skill lessons taught by volunteers. For smaller groups (under 10) we ask that you participate in one of our already-scheduled forest workdays which generally occur on the second Saturday of each month from 9am–12pm. Sign-up is still required. Thank you so much for your interest in helping our community grow! 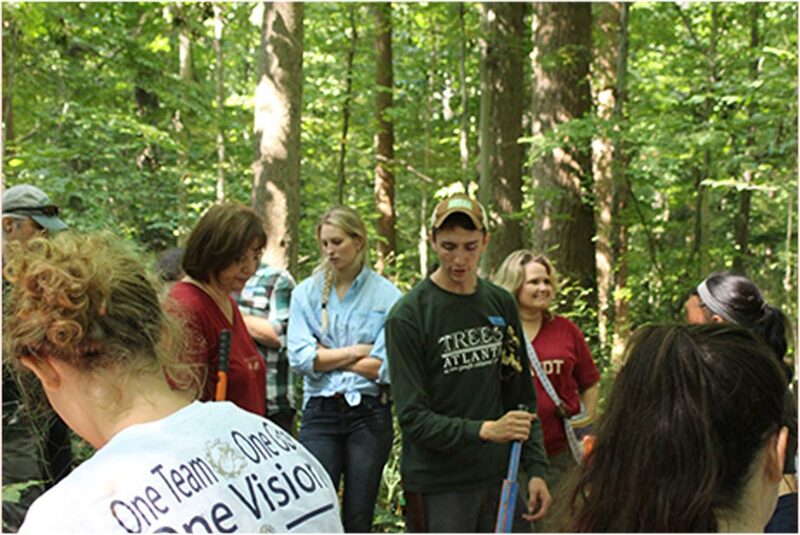 The Frazer Center partners with Trees Atlanta and Eco-Addendum in an ongoing forest restoration plan. Together, we’re creating a group of dedicated volunteers to help maintain the trails, remove invasives, and work on other projects as needed. The experts at Trees Atlanta and Eco-Addendum are training and educating volunteers at monthly forest work days in an effort to create an organized and dedicated team that will sustain our beautiful urban forest for years to come! Workdays generally occur on the second Saturday of each month from 9am to 12pm. Sign-up for each workday is required. To be added to our Friends of Frazer Forest email list, please fill out the form below.